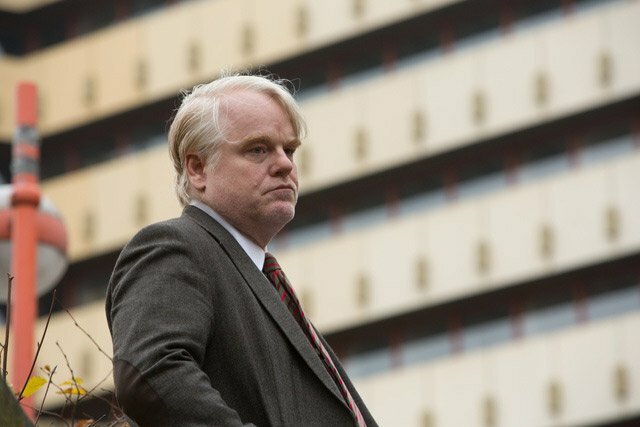 Based on a novel by John le Carre, A Most Wanted Man features the late Philip Seymour Hoffman in one of his final roles, surrounds him with a strong supporting cast (including Rachel McAdams, Robin Wright, Willem Dafoe and Daniel Bruhl), and should please anyone who enjoyed the previous film from director Anton Corbijn, The American. Adapted into screenplay form by Andrew Bovell, the film is set in Hamburg. Hoffman plays Gunther Bachmann, a man who heads up an anti-terror unit in Hamburg, and who likes to weigh up each potential arrest in terms of the long game. That’s why he’s not as keen as some of his colleagues to arrest a Chechen Muslim named Issa Karpov (Grigoriy Dobrygin). Bachmann’s plan is to let Karpov get settled, let him work with a lawyer (McAdams) to lead them, potentially, to the next big name up the ladder. That next step seems to involve a banker (Dafoe) as a middle-man. There could be a lot of money involved, and terrorists always need money. War is expensive. I can tell you that the script is decent, the direction from Corbijn is controlled and superb, and the cast are all wonderful, despite the variety of German accents attempted (to be fair, nobody seems terrible while they’re giving it a go). This isn’t a beautiful film. It’s not a thrilling one, in the traditional sense, either. Yet it is tense and captivating throughout. You see, the script and acting and technical aspects of the movie all seem less important than the way that the movie depicts spy operations in modern Hamburg. It’s in those moments, which make up the main body of the film, that the whole thing jumps to life, and never rests easy until the bitter end. Gone are the days when spies would use sunglasses and a hat as a disguise while shadowing people. Gone, also, are the days when all information was gained by secret, or by torture. Bachmann allows his team to operate in a relatively open environment. They sometimes hang back, when it’s necessary, but there’s no need to don a disguise when numerous tiny recording devices save you from having to physically follow someone at all times. Similarly, lying to someone in an era of mistrust and misinformation isn’t the best way forward. It’s interesting to see that the only people Bachmann really lies to are colleagues. He has no time for the theatrics of any subterfuge, or even a good cop/bad cop routine. Time is always of the essence. Despite the deliberate pacing of the film, this is never forgotten. There’s still room in the multiplex for James Bond and his bombastic adventures, but there’s also room for tales that feel based more in the reality we live in nowadays. A Most Wanted Man feels authentic, yet it does so in a very cinematic way, despite never allowing you to notice at the time. That’s a skill that Corbijn has, and that’s what makes his movies always worth a watch. Well, for me this is John Le Carré all the way, because I’ve read the book with huge interest, and the film measures up very well as a recreation of what would be too complicated to give ever detail of on screen. The accents and the English where it is German in the book are a detraction, but can be forgotten in the pleasure of the good cast. I am a continuing fan of Anton Corbijn even if he hasn’t yet hit a zinger as good as Control yet since.